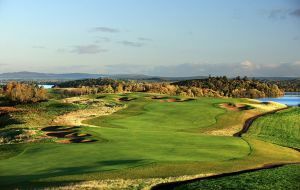 Northern Ireland's newest Course, opened in 2010. 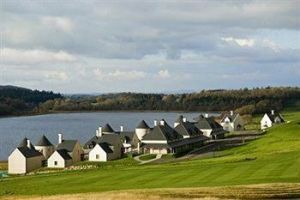 A Fabulous new Course on the shores of Lough Erne. Designed by Nick Faldo and opened in 2010, it is a true championship legnth course of 7,167 yards off the back tees. The Facility includes a Hotel, Spa and all the amenities you would expect of a 5 Star Resort. The Course has been planned to take full advantage of the natural topography so fourteen Holes play beside the Lough so careful driver selection is a must! Well worth a visit! 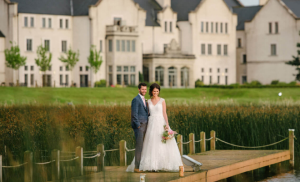 The Facilities include the Championship 7,167 yard Course, the Loughside Clubhouse and Bar, a Practice Range and Short Game Practice Area with a "Mini-Himalayas" Putting Green, fully trained PGA Staff giving individual tuition and a fleet of Golf Carts. 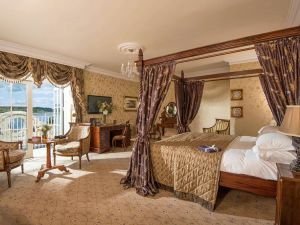 Bed and Breakfast in the 5* Lough Erne Resort, a round of golf on the Championship Faldo Golf Course per person plus round of golf on the Castle Hume course per person. 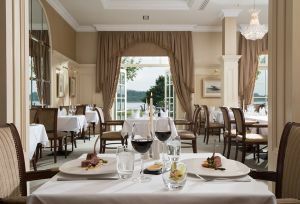 From £138/€184 per person sharing. Too many golfers grip the club at address like they were trying to choke a prairie coyote to death".